How to troubleshoot your Samsung Galaxy Note 2 N7100 that shows the error “Charging paused: Battery temperature too low” after having dropped in water. Samsung GT-N7100 screen turned green and then became black after device got wet due to water splashes. Phone is still on according to owner’s testimony b the t screen is blank. when your Galaxy device shows the error “Charging paused: Battery temperature too low,” more often the problem is with the charging port flex cable. In fact, there’s a similar error that tells you the opposite (Charging paused: Battery temperature too high) but still have the same result–not charging. Before Disassembly First Clean Charging Port With Alcohol Or Liquid Like C.T.C Cleaner. If Problem Still There Then Disassembly Samsung N7100 For Charging Paused Solution. After Disassembly Clean Samsung N7100 PCB Layout With C.T.C Cleaner And Remove Charging Port. Charging Port Wash Properly With C.T.C Cleaner After Clean Charging Port Of Samsung Galaxy Note 2 Put Again. 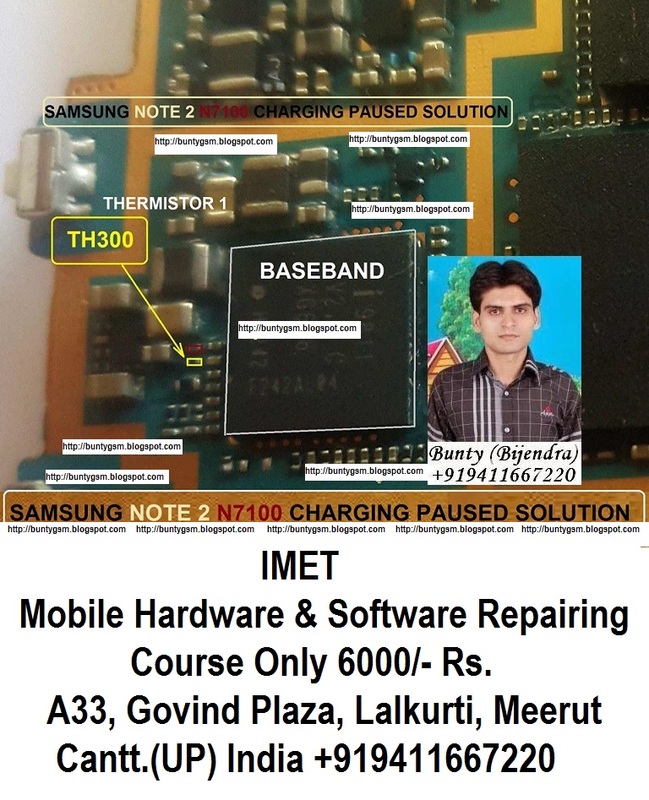 Check For Problem Resolved If Still There Then Replace Charging Port Of Samsung Galaxy Note 2 N7100 For Complete Solution Of Samsung J700H Charging Pause, Battery Temperature Too High.